Diamond Details: Round brilliant cut white diamonds, pave set, of D-E color, VVS clarity and excellent cut and brilliance, weighing 1.67 carats total. 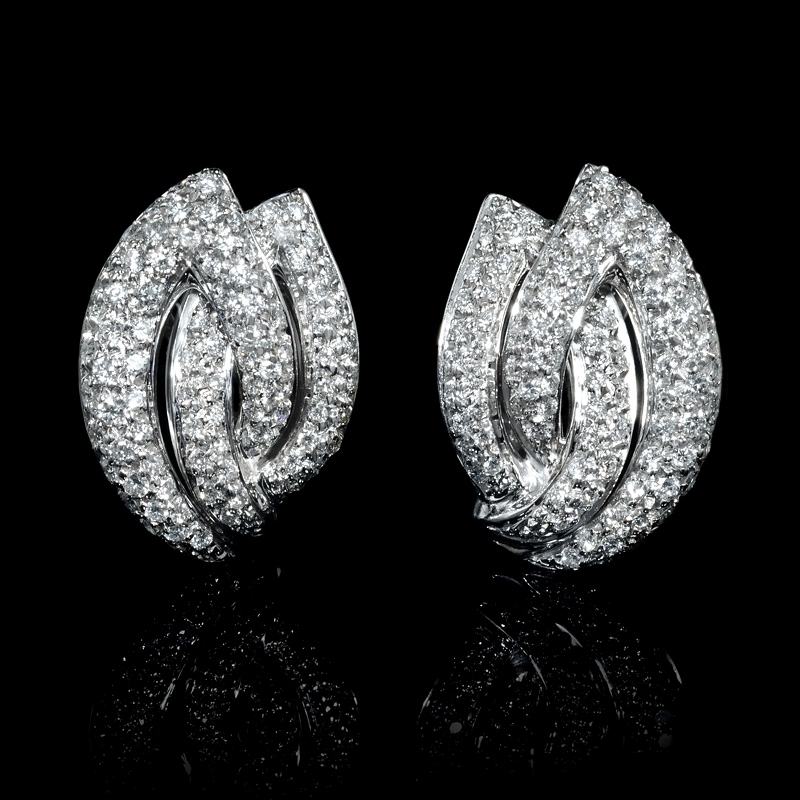 Earring Details: Leo Pizzo 18k white gold design. Back Details: Posts & omega clips. Measurements: approximately 20mm x 14mm. 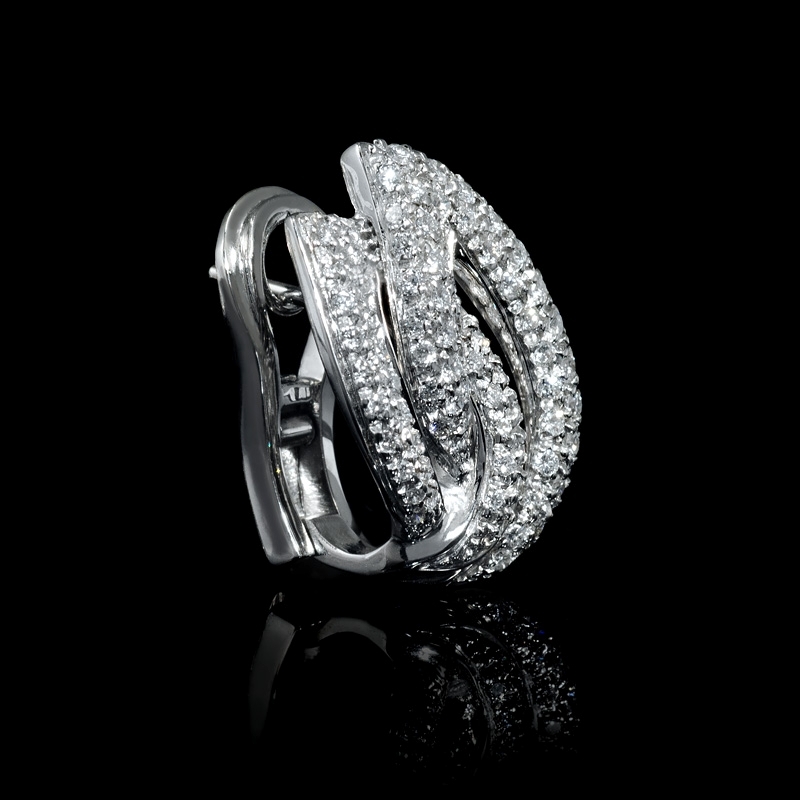 This gorgeous pair of LEO PIZZO 18k white gold earrings features round brilliant cut white diamonds, pave set, of D-E color, VVS clarity and excellent cut and brilliance, weighing 1.67 carats total. Italian design, universal allure. These earrings are affixed with posts & omega clips. Dimensions measure approximately 20mm x 14mm.